What is included with each standard Integra Enclosure purchase? ​Standard Integra Enclosure purchases come assembled with base, cover – gasket fully installed – and a package of four mounting feet and screws. Premium, Impact and Genesis Line products come in gloss gray. Custom colors are available upon request – contact us for a quote. Yes. We can execute machined holes, slots, latch installations, DIN-rail installations or back panel installations. Download a CAD drawing and indicate your desired modifications at [email protected]. We will deliver a quote right away. What variety of back panels is available at Integra? Coated steel, bare aluminum and polycarbonate. ​Can I change my mind on covers once I’ve received my purchase? Yes. We offer both opaque and clear covers. For example, if you chose opaque, you can purchase a clear cover – gasket fully installed – and switch the two in the field. ​How do I clean my enclosure? Light soapy water is highly recommended and tackles the majority of messes safely. ​What are the torque specifications for Integra enclosures? Mounting Feet/Flange – 25-30 in. lbs. Back Panel – 10-15 in. lbs. Enclosure Cover – 8-10 in. lbs. Why are the sidewalls and covers not lying flat? How does this shape affect the installation of hubs and components? The slightly convex shape ensures a stronger box that protects covers and bases from warping, which is common in non-metallic “flat” enclosures and results in faulty seals and failed water tightness. With a standard gasket, hubs and components can easily be installed and seated on the surfaces on Integra enclosures. 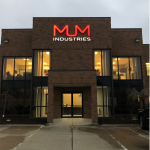 What are the advantages of purchasing an Integra enclosure over the industry’s “norm” – metal and fiberglass products? The engineered thermoplastic – polycarbonate – has significantly better impact resistance compared to competitors. Polycarbonate is available with a clear cover option, while fiberglass normally requires an expensive and potentially leaky window installation. Polycarbonate features 100% non-metallic hinge designs. Fiberglass normally needs a steel hinge pin that will eventually corrode. Integra offers Back Panel Adjustment Systems that eliminate the need for expensive stand-offs and allow the installation of multiple panels. Integra has the same four mounting bosses that fiberglass has but with an additional molded-in mounting boss surrounding the box perimeter. 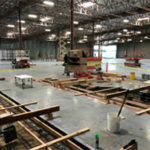 Polycarbonate will not splinter or produce dangerous dust like fiberglass – making it easier to work with during modifications. Fiberglass “blooms” when exposed to the sunlight and could require a paint job in order to compensate. Polycarbonate is naturally UVA resistant. Thermoplastic polycarbonate is substantially lighter than stainless steel – making one-man installations simpler. Are Integra Enclosures watertight and suitable for underwater or underground mounting? All enclosures achieve a NEMA 4X or NEMA 6P rating equipped with latches or with two screws in the hinged cover instances. For mounting underwater or underground, we can provide the additional four screws necessary. What thread lockers can be used in Integra enclosures? Chemical – Chemical thread locking compounds are not recommended. Anti-seize thread release agents are also not recommended. Mechanical – A mechanical thread locking device is acceptable, such as a lock washer, provided a flat washer is used between the locking element and polycarbonate. I have a DIN-rail mounted component. Is a back panel necessary? Most likely, no. Integra features molded-in bosses at the bottom of the enclosures at 1-inch intervals along the perimeter. Therefore, DIN-rails can be installed virtually anywhere, making back panels unnecessary. How does the Back Panel Adjustment System work? Four mounting pads slide on T-Shaped rails molded into the four corners of the enclosure’s base. Mounting pads are held in place with a provided set screw. The set screw can be adjusted with the back panel in place, inserted in a channel in the mounting pad, and engages with the T-rail for a positive attachment. Each Back Panel Adjustment System kit comes with 4 mounting pads, 8 set screws, an Allen wrench, 4 back panel attachment screws and an instruction sheet. What other listings are Integra enclosures classified under aside from NEMA? All enclosures are listed as UL-50E, Cabinet and Cutout Boxes with filing number listed as E207562. Integra is also C-UL listed in Canada, and we also possess a Marine Listing for coastal and marine applications. Why are the enclosures not metric? Integra provides “dual-dimension” data for our line of enclosures. Don’t see your question on this page? 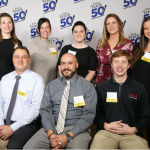 Contact Integra by picking up the phone or shooting us an email today with your questions. We are here to answer all your inquiries. 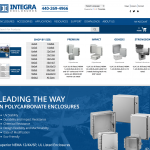 Integra Enclosures Launches New Website!